It seems strange that for a player who became synonymous with the sport during the nineties, football wasn’t exactly high on the list of priorities for Gabriel Batistuta. Familiar the world over to Serie A lovers, the man who claimed to never have truly been in love with football had an uncanny ability to make others fall in love with the sport in his stead. For despite his reservations, he epitomised everything that was admirable about football. Ever the loyal lieutenant to underachieving Fiorentina, eschewing the siren songs of Europe’s heavyweights in favour of the adoration of the Florence faithful. Yet, even at Fiorentina, who in his playing days never once finished higher than third in Italy’s top flight, he was regarded by many as one of the world’s most feared strikers. Ronaldo was more glamorous, Baggio more stylish and Shearer more famous, but there were none as frighteningly lethal as Batigol. If the footballing gods ever convened to construct the perfect number nine, then Batistuta surely was the fruit of their labour. Quick, powerful and direct, he terrorised centre-backs with his blind-side runs and was practically unmarkable inside the box. He was strong in the air, could play with his back to goal and off the shoulder of the last man, and was an accomplished set-piece taker. But if there was one thing above all that Batistuta was renowned for, it was the sheer venom with which he could hit a football. Never has there been – neither before nor since – a man for whom a gentle side-foot finish was utter anathema. Of his 168 goals for Fiorentina, the overwhelming majority were rifled past bewildered keepers. Few could claim such ferocity coupled with such accuracy. But for Batigol, a career in football almost never was. Growing up in Reconquista, the gangly Batistuta preferred basketball and wouldn’t pick up an interest in kicking a ball until he witnessed Mario Kempes at the 1978 World Cup. From then on, it was less a passion for Batistuta as much obsession. After emerging as a regional star for Platense and Reconquista in his youth, Batistuta caught the attention of then-Newell’s boss, Marcelo Bielsa. Impressed by the young striker’s two-goal winning performance over his Newell’s in the regional championships, Bielsa signed him immediately and whisked the shy, unassuming teenager away from his familiar rural climes to the city of Rosario. Times were tough. Batistuta managed only sixteen games in his only season with the club, as he struggled with weight problems and severe homesickness. Leaving behind his family, his sweetheart (whom he would later marry) and everything he held dear took its toll. 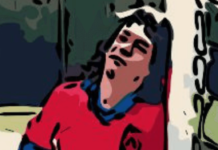 But, under the tutelage of Bielsa, who saw something in this awkward, introverted teenager, he persevered. 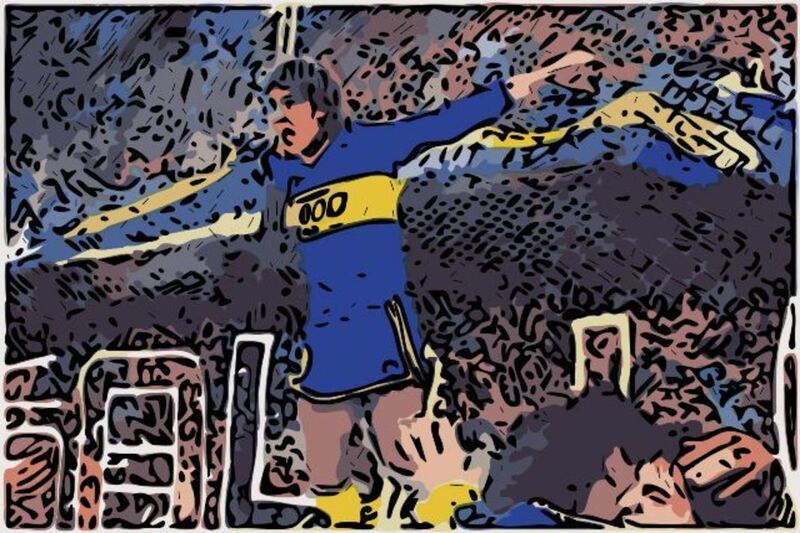 It just so happened that the team in question, where he would first find the goal-scoring form for which he became famous, were River Plate’s fierce cross-city rivals, Boca Juniors. Initially shunted out on the wing thanks to his pace, Batistuta began to score regularly once Oscar Tabarez took over as manager and shifted the young prodigy into the centre-forward role. At the culmination of the 1991 Clausura, Batisututa scored 13 times for Boca as they clinched the title. His form saw him handed his first senior call-up in the summer of 1991 for the Copa America championships in Chile. 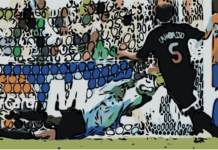 Despite a career that had thus far seen him claim a modest twenty goals across three seasons, Batistuta plundered six in six games during the tournament. His strikes included a towering header against Brazil in Argentina’s 3-2 victory and the winning goal in the final against Colombia. With this success came the first murmurs of interest from abroad. At the forefront was Italian club Fiorentina. 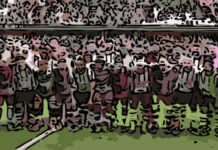 It was the early 90s, and the halcyon days of Serie A had begun a few years previously with the European triumphs of AC Milan and would continue for almost another decade. However, Fiorentina’s fortunes had been indifferent; in the five seasons prior to Batistuta signing in the summer of 1991, they had finished as low as 12th and as high as 2nd. Seeking to establish themselves as part of Italy’s elite in a time of enormous prosperity for Serie A, the signing of this prodigious young talent bore the hallmarks of promise. And for Batistuta, a man for whom football was little more than a way to make a living, Europe beckoned. By the time he bade farewell to his homeland, Batistuta was now a staple in the Argentina national side. On his international CV, he could boast a Copa America winners’ medal and two goals on his debut. By the time 1992 rolled around, he’d already registered double figures. Yet, compared to other greats of his time – Ronaldo, Raul, van Basten, Shevchenko – most of whom had been scoring twenty-plus goals a season throughout their teens, the 21-year-old Batistuta who set off for Italy in 1992 could only claim a modest impact on world football at best. He had the raw talents – the pace, strength, movement and finishing – but he was yet to have the statistics to back up his promise. That would all soon change. The gangly prodigy who had preferred basketball to football in his youth was about to see his career trajectory take an upturn. Next articleFrom Layer Road to Parsons Grove: What constitutes a Cup Shock? My First Away Game: A Fierce Derby To Remember!